You are here: Home / 1980s / Memories of Halloween in the 1980’s- The Best Decade for Trick-or-Treat! Even though Halloween has already passed, it is still fun to look back at what Halloween & Trick or Treat was like in the 80’s. Just thinking about Halloween, make me start to reminisce about the best era for Candy, movies, and costumes. 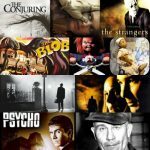 In this article, we’re going to be taking a walk down memory lane to a magical time where the streets were safe, and Halloween was a joyous time!! Even though we were walking around in costumes we couldn’t see out of and certainly couldn’t breathe in; we still had the time of our lives! Let’s start this off with the most popular costumes of the 1980’s! This costume was a go-to back in the day, I think everyone was a punk rocker at least twice during the 80’s. 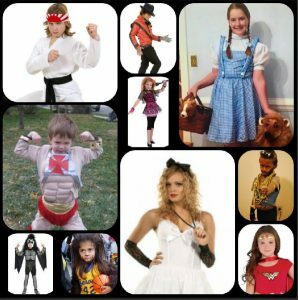 No matter what age, gender or music preference you were, the punk rocker costume was a staple! An all-time beloved classic movie, I think that every little girl wanted to be Dorothy. Even if you didn’t want to be Dorothy, I think we can agree that everyone wanted a pair of those shiny red Ruby Slippers. Whether it be the outfit from the Bad video, the Thriller video or just the Billie Jean Jacket or the classic military jacket, every kid wanted to be the King of Pop. All that bling and that magical mohawk, all the cool kids wanted to be the leader of the A-Team!!! Kiss was a hot item in the 80’s, and everyone wanted to be a member of the band. There were several variations of the classic 80’s Madonna costume but most included a jacket, top, tutu, leggings, lace gloves, and bow headband. Everyone loved this wild child look. You were the coolest kid around if you were walking around as Daniel-San. You were even cooler if you could convince your best friend to dress up as Mr. Miyagi!! Wax on Wax off! If you could get all your friends together, this costume was sure to be a hit! Even if you had to go it alone, you were sure to be the toughest kid on the block! Come on, who wouldn’t want to be an Amazonian warrior princess? Now, that everyone has picked out their costume, let’s get started on the candy!!! You knew where the good houses were and you knew where the bad houses were. 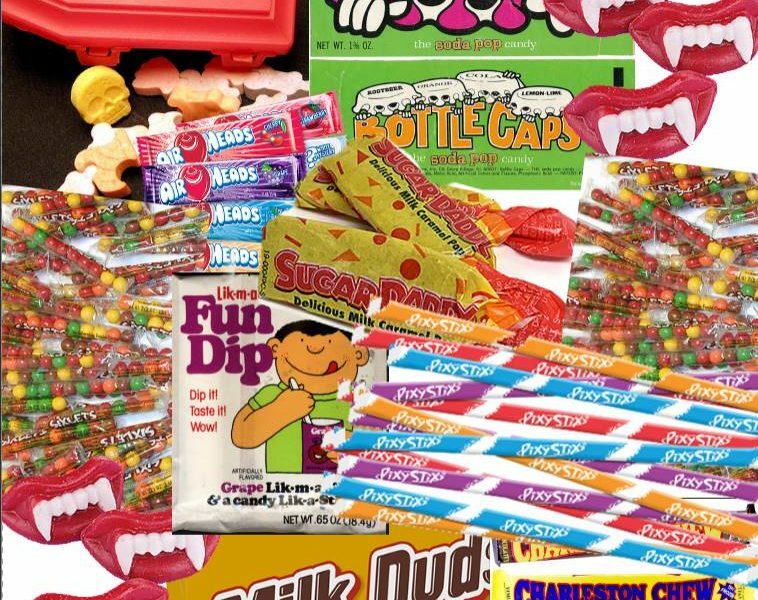 The good houses were the ones that handed out the good stuff like Sixlets, Mr. Bones, and Charleston Chews. If you wound up at these houses, you were having a great night. That meant less chance of getting pennies or popcorn balls. Some other 80’s favorites were Sour Patch Kids, even though they’d leave your eyes watering. Milk Duds were a classic Halloween favorite also though mom and the dentist weren’t huge fans. If you were fortunate, you could score some fun dips or bottle caps or sugar daddies. It really didn’t matter back then; there was a plethora of good candy!! Previous Post: « Must-Have Cool Gadgets.